AFTER BANNING LARA BINGLE from his parade, designer Alex Perry is now flagellating himself after yesterday's opening parade for Sydney's Mercedes Benz Fashion Week. Perry has said that using ultra thin supermodel Cassi Van Den Dungen was a mistake. As our snap shows Cassi does look rather gaunt although the camera can fib. Alex appeared on the 9 Network's Morning Show and told hosts Karl Stefanovic and Lisa Wilkinson that it "was a mistake" after looking at photos from the show. Mia Freedom has bought into the debate on Mammia, describing the parade as The Hunger Games while Marie Claire editor Jackie Frank has expressed concerns over Cassi's health. Van Den Dungen helpfully Instagramed a snap of her lunch which seems to consist of 2 croissants, water and a hugely unhealthy energy drink- not the sort of thing to be recommending to young girls who may be following her career. The obsession with thinness is always evident during Fashion Weak and anyone who has shopped with a larger lady as the Shuttle did last week knows how ridiculous it has all become. Looking for larger lingerie at both Myer & David Jones in Bondi's Westfield proved fruitless (and just finding an assistant was like Stanley discovering Dr Livingstone) Racks and racks of unsold stock- thin stock -was on display yet nothing for the average sized or above, woman as most Australian women are. 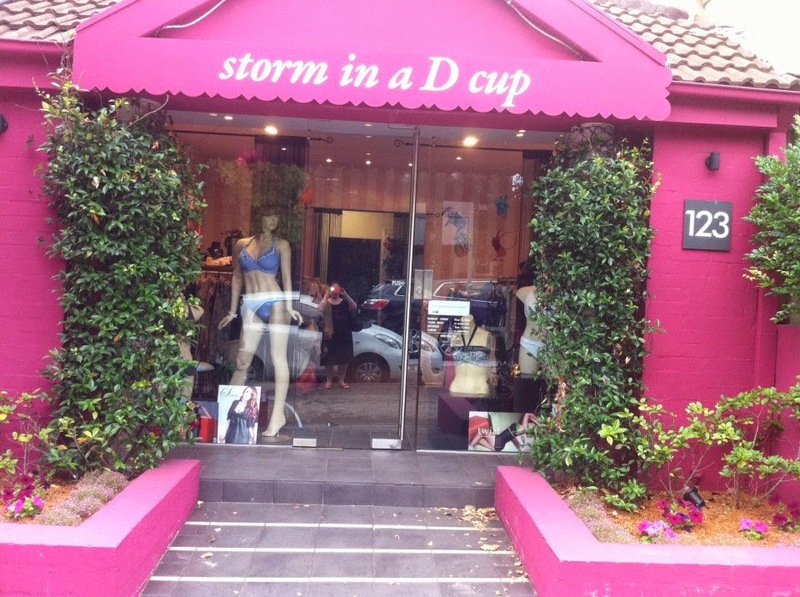 Yet in the specialty shop Storm In A D Cup just down the road in Edgecliff they were doing a roaring trade with an assistant who not only knew her stock intimately but took over $3000 in the half hour we spent there. There are lessons all round which are bound to be ignored.